BiznextIndia: Larsen & Toubro Infotech GmBh, a wholly owned subsidiary of L&T Infotech, has signed a definitive agreement to acquire Hamberg, Germany based Nielsen+Partner Unternehmensberater GmbH along with its identified subsidiaries in Luxembourg, Switzerland, Thailand, Singapore and Australia and branch office in Belgium. The enterprise value payable for the acquisition of 100% share capital of NIELSEN+PARTNER is Euro 28 Million on a cash-free, debt-free basis, which includes upfront consideration and a performance based earn-out. The acquisition is subject to customary closing conditions which are expected to get completed within 6 weeks. 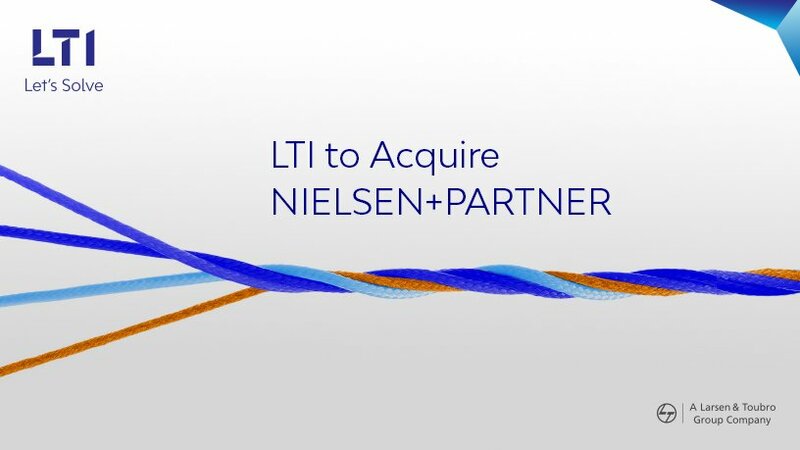 The enterprise value payable for the acquisition of 100% share capital of NIELSEN+PARTNER is Euro 28 Million on a cash-free, debt-free basis, which includes upfront consideration and a performance-based earn-out. The acquisition is subject to customary closing conditions which are expected to get completed within 6 weeks. NIELSEN+PARTNER is a global implementation specialist for the Temenos WealthSuite providing services around digital banking platforms to customers across Banking and Financial services segment. In the FY 2018 ( January-December) the German company had a revenue of 9.9 million Euro.